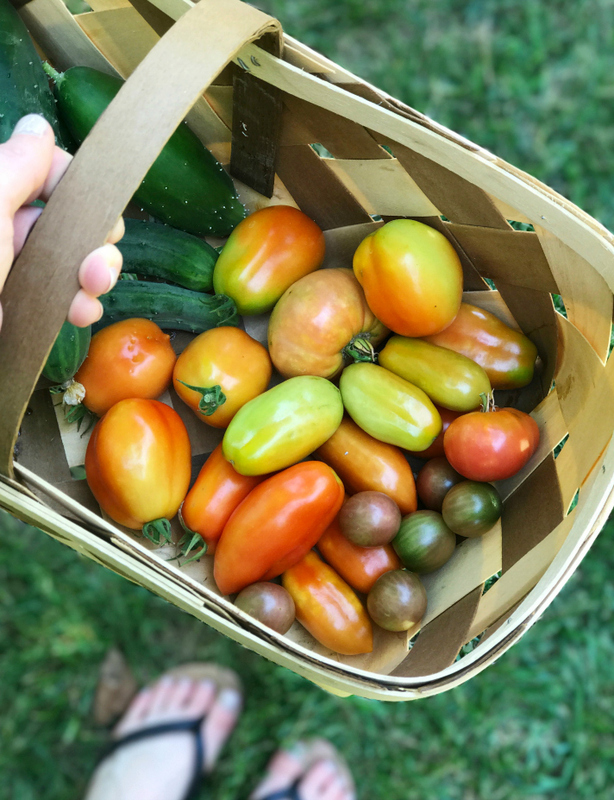 With summer in full swing, we've got quite the garden bounty coming in and have rounded up a few photos to share how our little city plot (and the raised beds!) have taken shape this season. 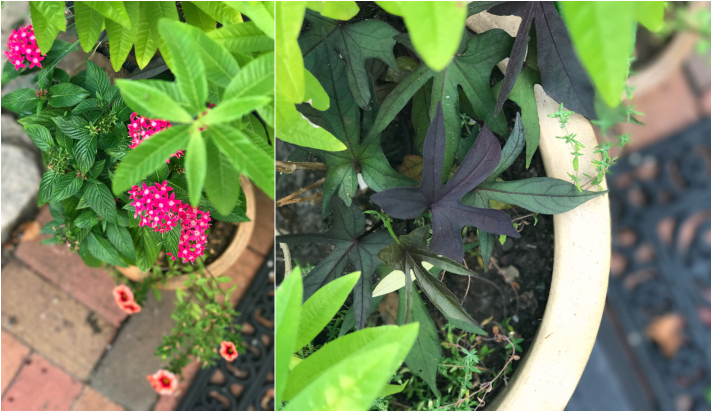 As usual, we're habitually tending to the pots and planters around our house, fussing with what to prune or finding something new to bring in. 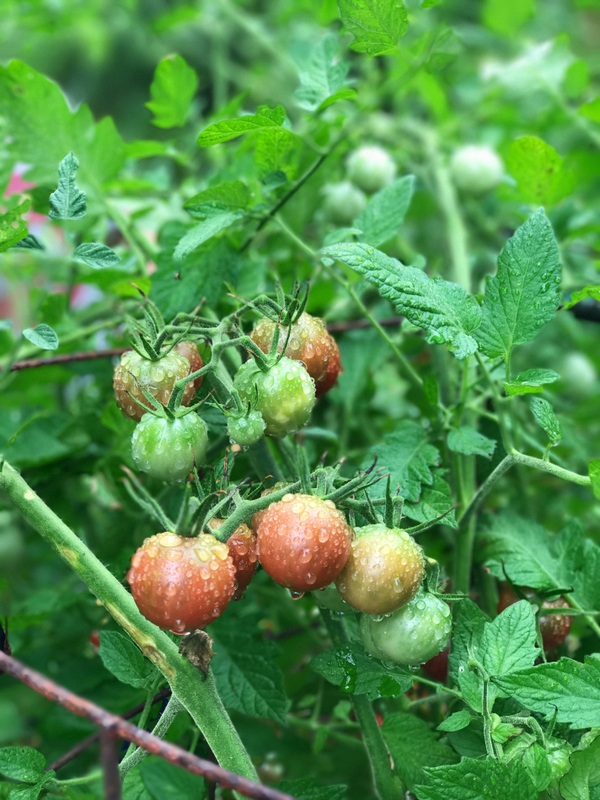 You may remember one of our goals at the start of new year was expanding further into growing vegetables in a larger plot of raised beds. 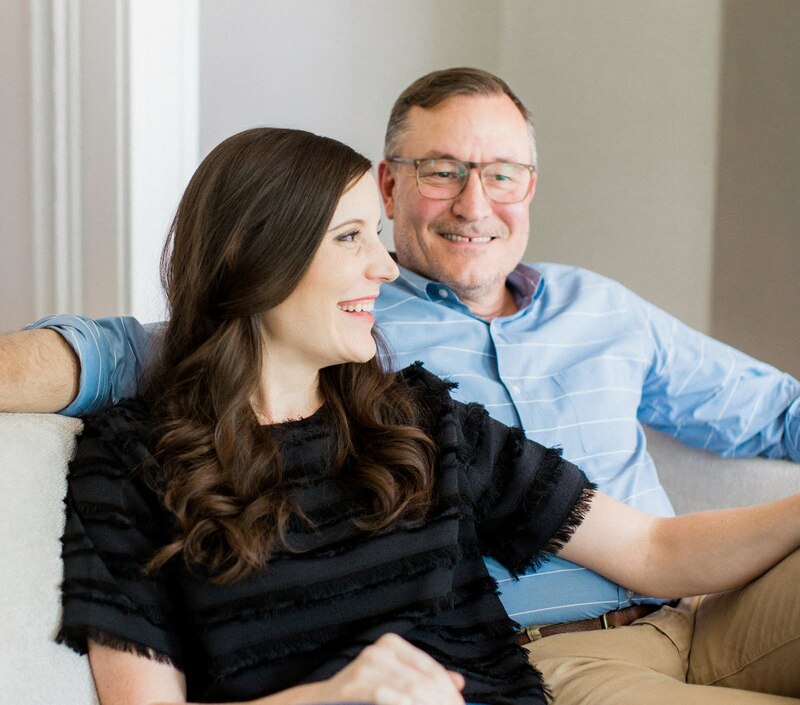 My dad has a full backyard just 20 minutes west from where we live in the city, which has allowed us the convenience and space to experiment more. 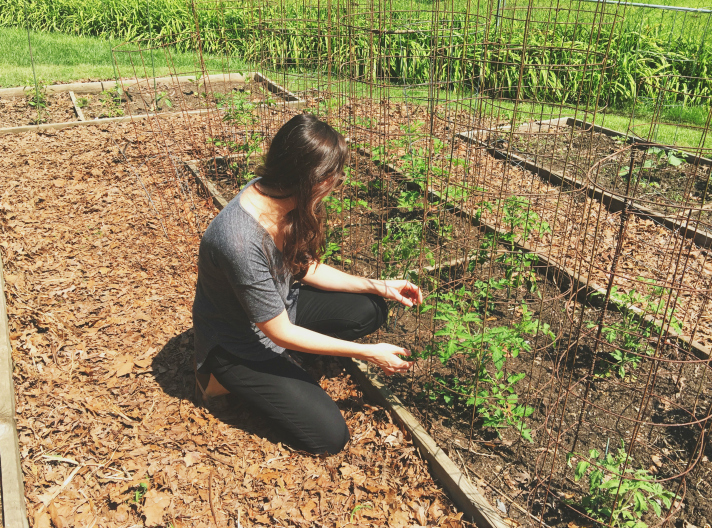 For both our city house and the raised beds, we began planning early back in the spring. 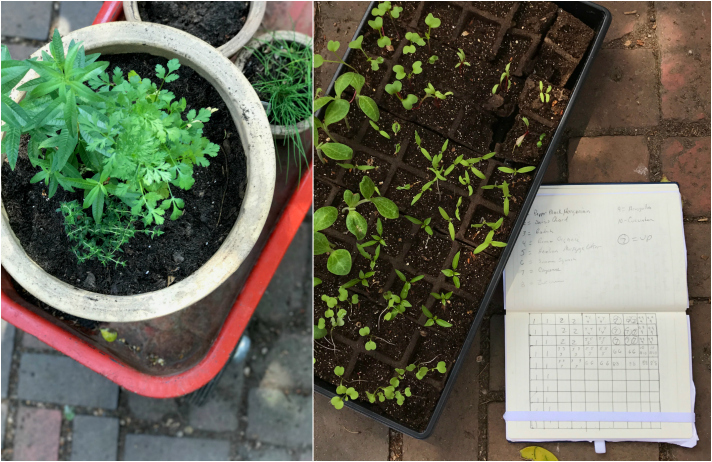 Tim drew up a rough seed plan for the vegetable plants we wanted to grow and I retrieved our clay pots from the garage for a new season of fresh herbs we'd picked up at our local greenhouse. 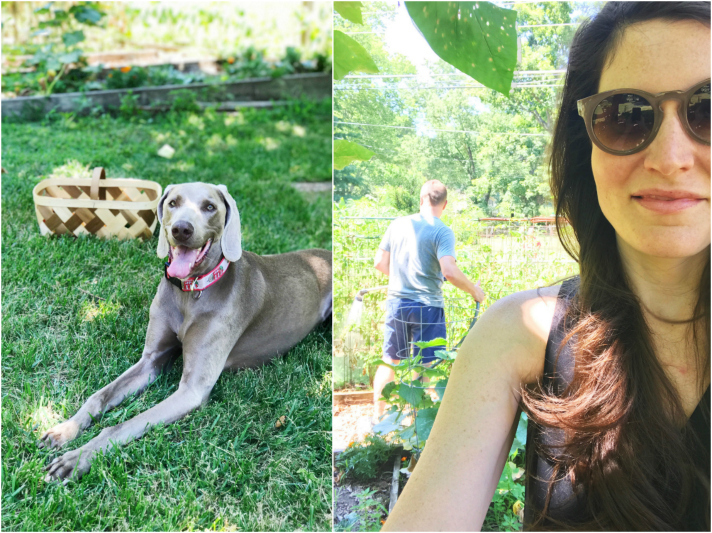 The more we've gotten to know our yard, the better we understand which areas get more or less sun and which types of plants work best where. 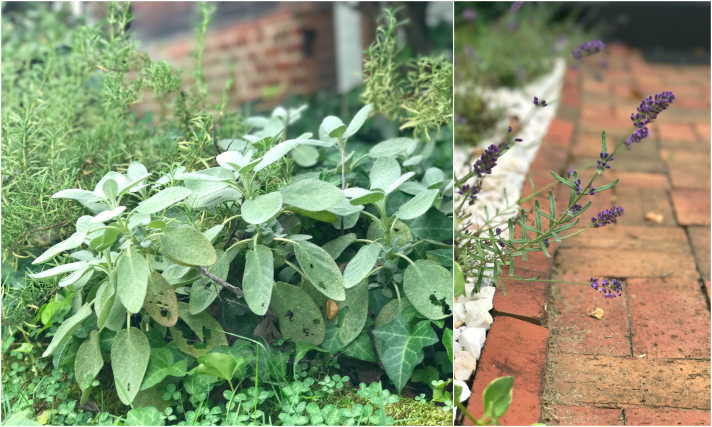 This year we've paired down in the city plot, focusing on training the perennial varieties that continue to thrive each season and brought it new annual herbs (plus a few bright florals for color) in various areas around the patio and front walk. Out back, we're practically swimming in basil, peppermint and traditional mint. 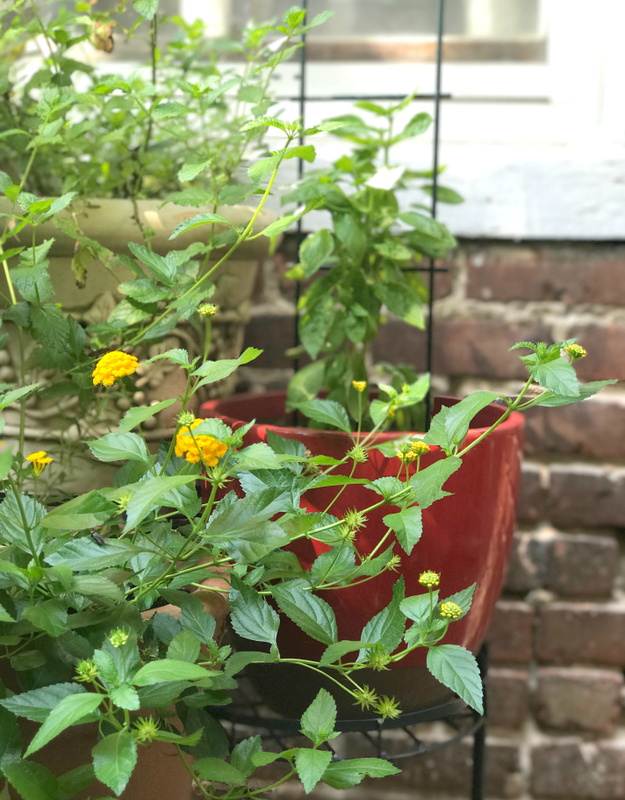 These are some of my favorite types of annual herbs to grow since they're so easy to snip for simple summer dishes like sun tea, mint mojitos, tomato & basil caprese salads — plus, they regenerate so quickly with a healthy dose of sun and watering. 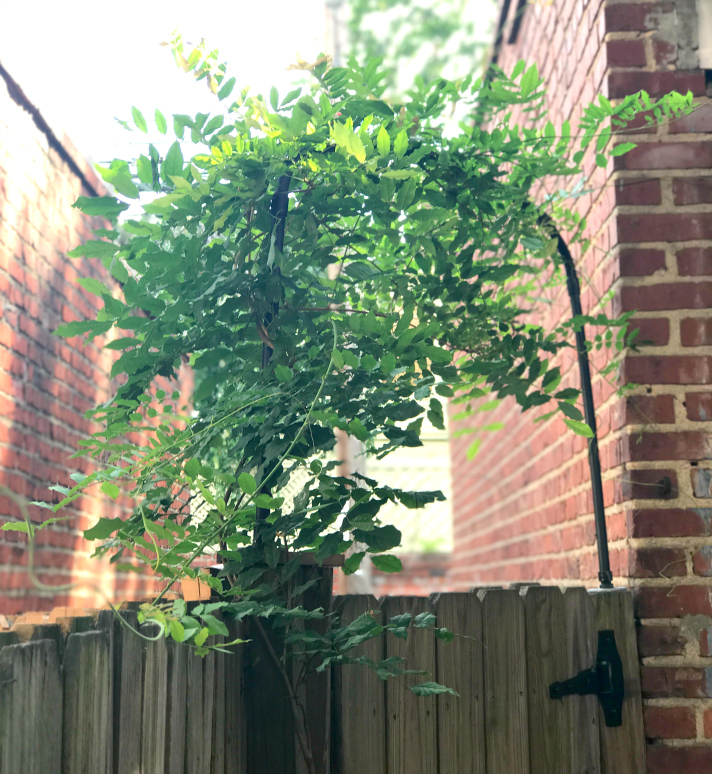 Click here for a fun look back and before/after from where this little wisteria plant started compared to the nice bushy growth we're trying to tame today. 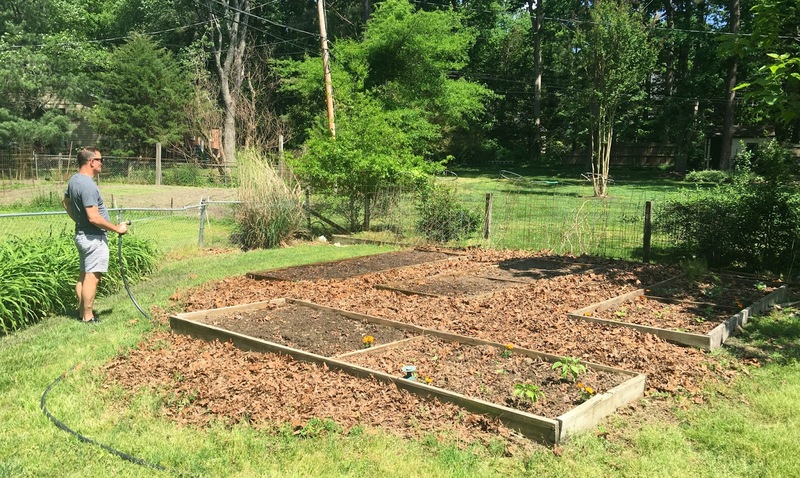 Like I mentioned, Tim's been cultivating a much larger garden over in my Dad's spacious backyard this year. The garden is made up of several raised beds and in the past few years Tim has tested a few pepper and tomato plants in a single bed (here's a pic with my dad from last year). 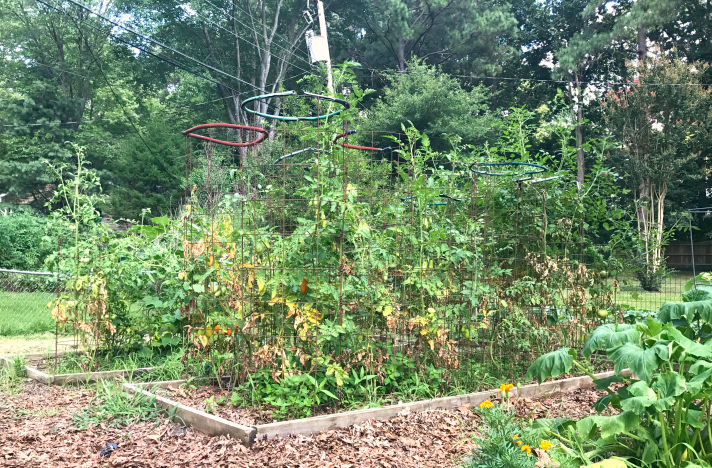 This year, Tim's taken over all 5 of the beds and filled them with a mix of the vegetable plants he started here at home from those seed plans back in April. 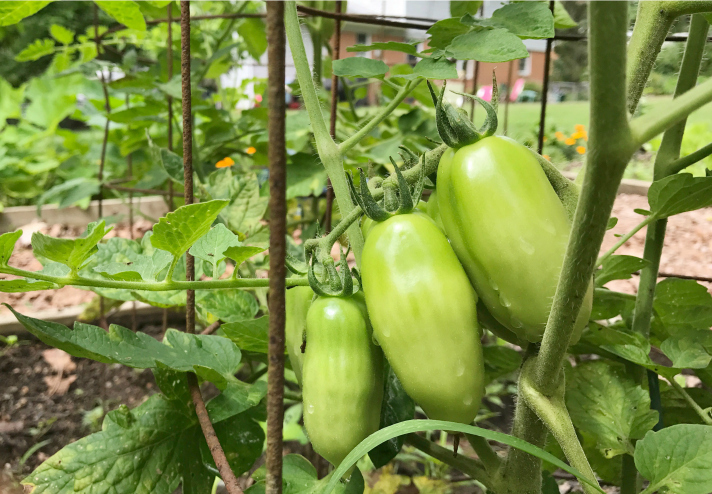 So far we've had luck with radishes, squash, several pepper and tomato varieties, cucumbers, okra, greens and even some cabbage and kohlrabi. Our dog, Basil, loves a chance to go check on the garden and takes full advantage of running (and rolling!) freely all over the lawn while there. 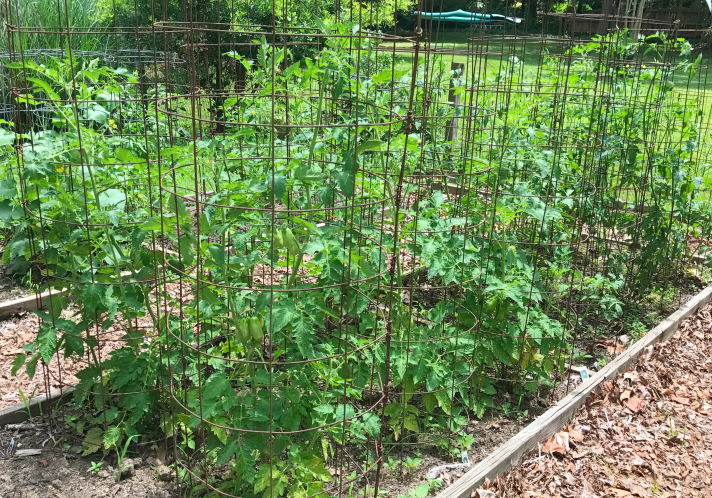 It's been a fast progression and more difficult to maintain the weeds than we'd like if the garden was readily in our backyard. Right now we're able to get over about twice a week to check up on it. 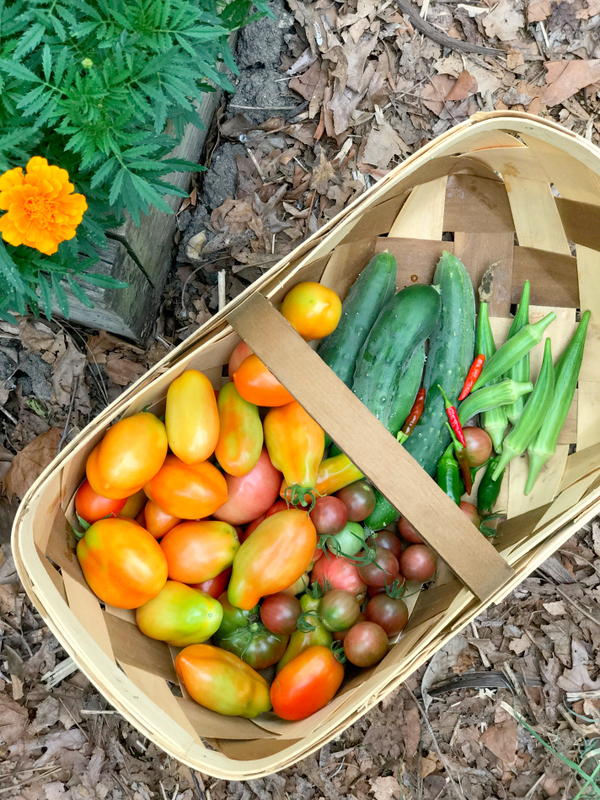 We're currently elbows deep in tomatoes, cucumbers, peppers and squash. 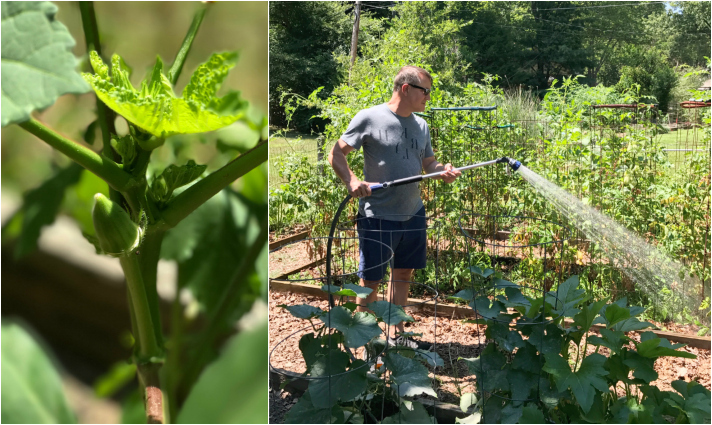 Earlier in the season we had a steady supply of arugula and a few kohlrabi, and now we're beginning to see the okra Tim planted from seed starting to fruit. See that marigold peaking through from the corner of the bed in the pic above? 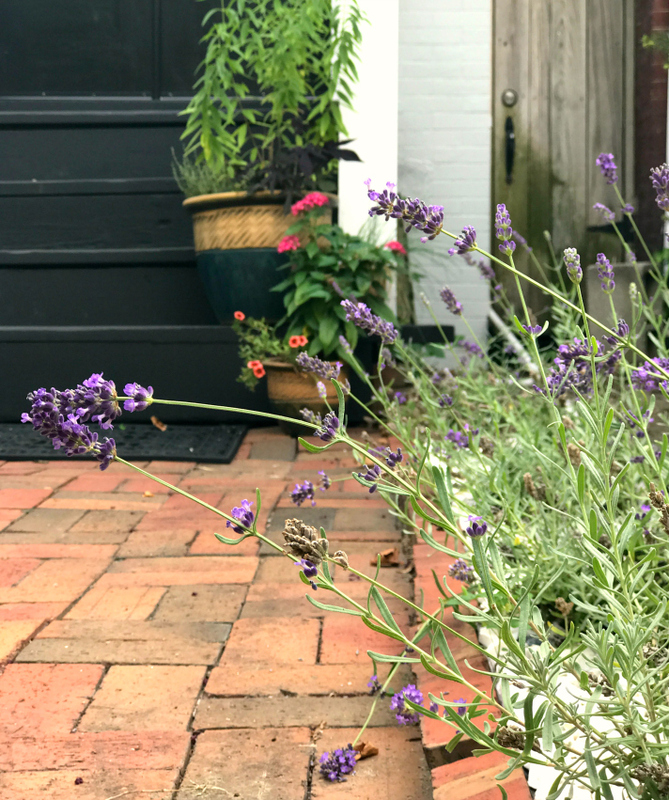 My dad tipped us off that surrounding each bed with these blooms helps to naturally keep bugs away that may otherwise snack on the plants. Love that! 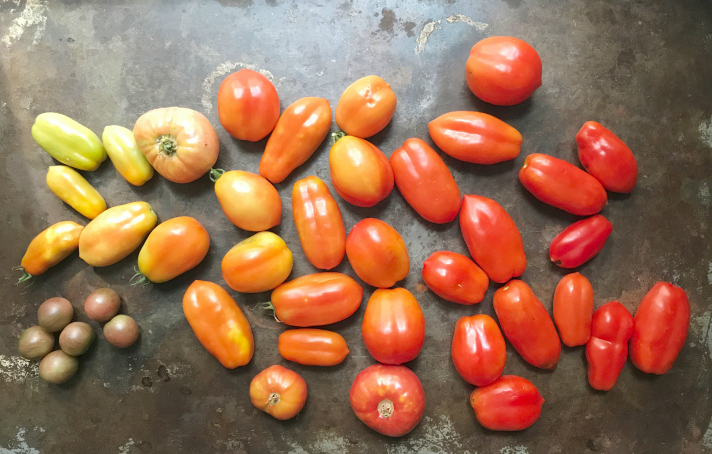 If we're being real — this season is all about the tomatoes. 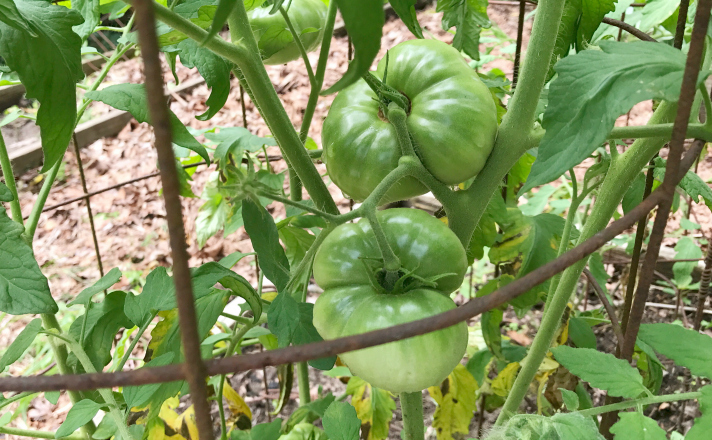 They're coming in quicker than we can pick them, and we're not complaining one bit. 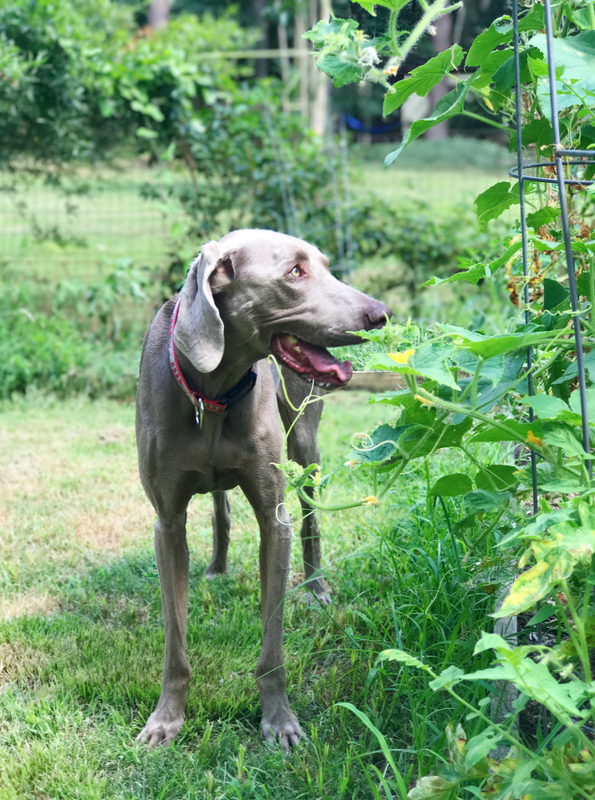 We're both eager to see how the garden produces over the remainder of the summer. 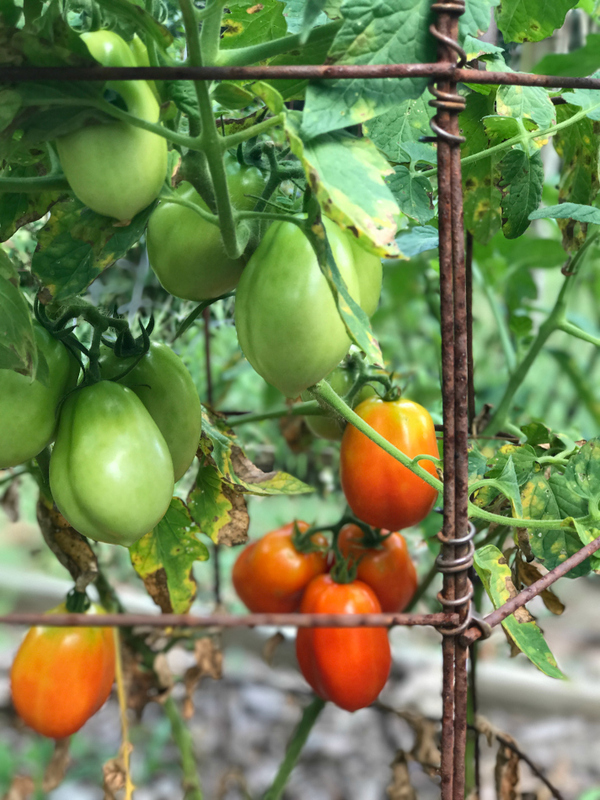 Tim's already dreaming up plans for fall plantings and I'm simply basking in the return of thick cut tomato sandwiches for lunch, homemade pickles and the flavorful pasta sauces from veggies straight off the vine. Perhaps it's just me, but there's something about the return of a garden and the new life it brings. Some of our plants have become like old friends, with a new chance and a new season to do wonderful things.